This is your chance to evaluate, celebrate and vote for the project you believe represents the best of the best in interaction design from among this year’s shortlisted entries — and we can’t wait to see what you choose. It’s simple. Review the shortlisted projects. Find the project you think represents best-in-class interaction design. On each project’s detail page, you’ll find a “Vote” button that will enable you to Tweet your vote. You may vote once for each project you wish to support. Retweets are nice but only original tweets will be counted, and only one vote per project for each Twitter account is allowed. The shortlisted project with the most votes as of midnight (Helsinki time) on Thursday, 3 March will win! 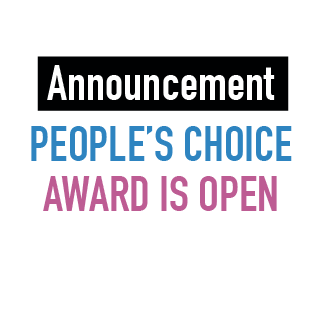 The recipient of the People’s Choice Award will be announced along with other winners at the Interaction Awards ceremony on Friday evening, 4 March. Don’t wait. Cast your vote now! Anything can happen, any project can win. It’s up to you! Spread the word and promote your favorite projects before voting closes on Thursday night, 3 March 3rd at midnight in Helsinki. We’re looking forward to seeing what work you find most inspiring. Compare your choices with the final results: Join us at Interaction16 — tickets are going fast! — or watch here for our 2016 Winners blog post and website update, coming out shortly after the ceremony.